LulzSec, in a joint effort with fellow griefer group Anonymous, targeted Arizona Police yesterday when they leaked hundreds of confidential documents into the wild via BitTorrent. The intelligence docs, training manuals, and personal data (including names, e-mails, cell phone numbers and addresses of police workers) have been confirmed as authentic by Arizona law enforcement. The state’s Department of Public Safety was targeted in protest over SB 1070, a new controversial law that has racial profiling opponents up in arms: The toughest anti-illegal immigration law to pass in the country, SB 1070 requires Arizona immigrants to have registration papers on them at all times and empowers authorities to request them on sight. 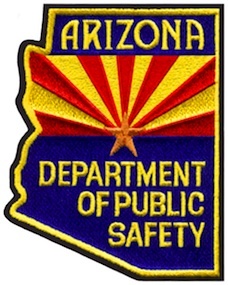 We are releasing hundreds of private intelligence bulletins, training manuals, personal email correspondence, names, phone numbers, addresses and passwords belonging to Arizona law enforcement. We are targeting AZDPS specifically because we are against SB1070 and the racial profiling anti-immigrant police state that is Arizona. The documents classified as “law enforcement sensitive”, “not for public distribution”, and “for official use only” are primarily related to border patrol and counter-terrorism operations and describe the use of informants to infiltrate various gangs, cartels, motorcycle clubs, Nazi groups, and protest movements. Every week we plan on releasing more classified documents and embarassing [sic] personal details of military and law enforcement in an effort not just to reveal their racist and corrupt nature but to purposefully sabotage their efforts to terrorize communities fighting an unjust “war on drugs”. Where do you stand on LulzSec? Do you consider it a white hat “hacktivist” protest group? Or is it just a digital terrorist organization leaving behind an unconscionable wake of innocent victims? Hit up our poll below, and tell us know what you think.